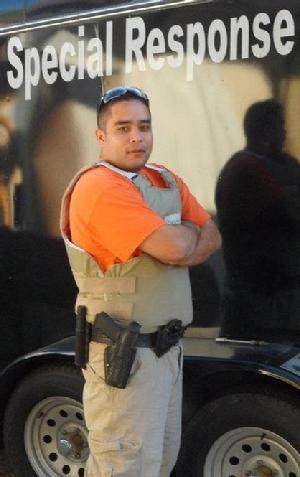 More than just a Deputy, Ray Davalos is trained in the Special Response Team. Persistent Deputy Doesn't Give Up, Catches Three Juvenile Burglars, MEMORIAL POINT, September 15, 2012 - Detectives with the Polk County Sheriff’s Office have completed the investigation of one residential burglary and one vehicle burglary in the Memorial Point subdivision with the arrest of three juveniles who live in the area. On September 2, 2012 at approximately 6:10am the Sheriff’s Office received a call from a newspaper delivery person advising he had seen three to four suspicious juveniles running through the neighborhood. Deputy Rey Davalos responded to the call and after several minutes patrolling through Memorial Point, was unable to locate the juveniles. Deputy Davalos then began canvassing the surrounding area and located a witness who observed the juveniles earlier in the morning. The witness was able to identify one of the juveniles and advised Deputy Davalos where he lived. Deputy Davalos went to the juvenile’s house where he located several thousand dollars worth of stolen property. The juvenile admitted to the burglary of a house and a vehicle in Memorial Point and showed the Deputy where they were located. Detective Richard Delaney was called to the scene and after several hours two more juveniles were identified. Two of the juveniles were ultimately charged with Burglary of a Habitation and Burglary of a Motor Vehicle. The other juvenile was charged with Burglary of a Habitation. All of the stolen property was recovered.